Zinc die cast. Indoors or outdoors. 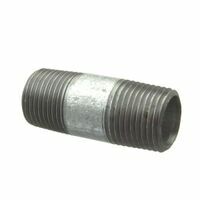 Use as a wire pulling elbow to facilitate wire pulling through a sharp bend in a run of threaded Rigid or IMC conduit. Removable cover provides easy access to wiring. UL Approved. Bulk packed.